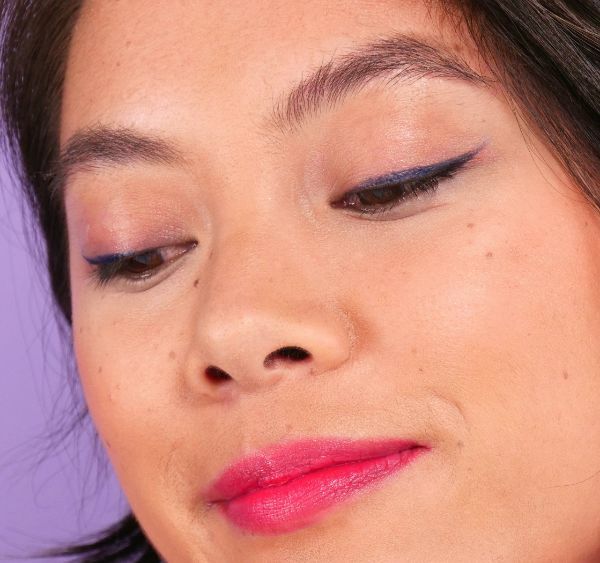 Many hoping to master a key and classic makeup look — the winged eyeliner — fear it's impossible to ever do so. And they're not alone. But a perfect cat eye doesn’t have to be elusive. It is important to note, however, that the fierce flick, as it is termed, won’t come easy at first. Since the wing is here to stay, and has the benefit of making eyes look bigger and more dramatic, just accept that practice makes perfect and keep at it until it’s just right. The good news? 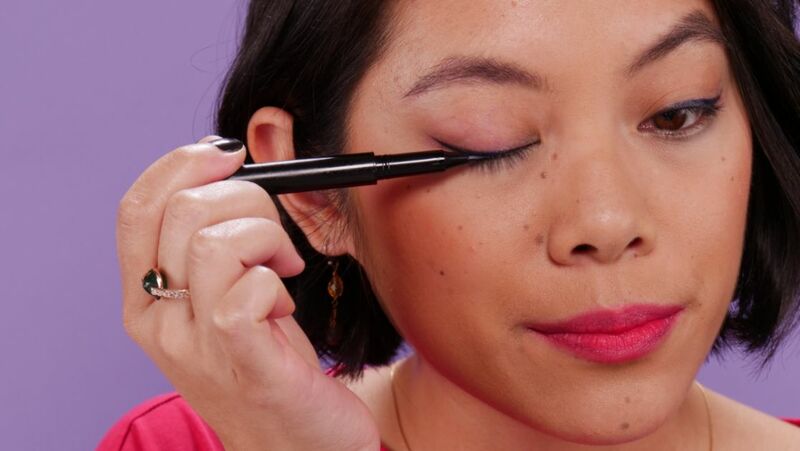 We have simplified the technique, including what you need and step-by-step instructions so that after some trial and error and plenty of tissues to wipe up any botched attempts, the result will be a cat eye to be proud of. 1. Begin by drawing wings (as if sketching out a draft) on both eyes. Drawing on at the same time (as opposed to completing one eye at a time) is the best technique to ensure the wings are even. Starting in slightly from the outer corner of each eye, line along lash line and flick liner up to form wing just past corner. 2. Next, with wings in place on both eyes, start on one eye and draw a thin line toward the inside corner of the eye. Start at the wing and draw toward center of lid along the lash line. Go over a few times to fill in. Repeat on other eye. 3. Now draw a thin line from the center of lid toward inner corner along lash line in order to extend the line. Repeat on other eye. 4. With line in place, go over one more time from inner point to wing in order to fill in line and make opaque. Repeat on other eye.